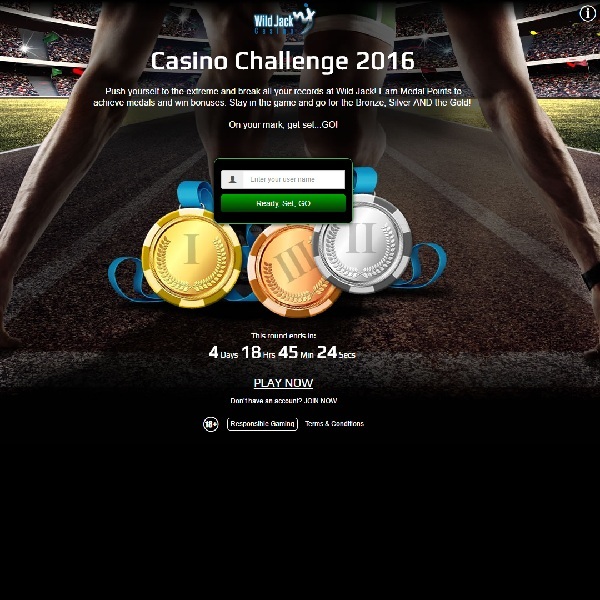 Wild Jack Casino has launched its Casino Challenge 2016 giving players the chance to earn special bonuses. When you play at the casino you will collect Medal Points and this way you will achieve Bronze, Silver and Gold medals. At each medal level you have the choice between cashing in or continuing to try and achieve a higher value medal. There are two time periods to this promotion, the first runs until August 14th and then the second runs from August 14th to the 21st. This means that you will have a week in which to achieve gold. When you cash in your medal the casino will award you with a bonus and you can then start again in the next round. This is a great way to enjoy all your favourite games and win some bonus cash at the same time so head over to Wild Jack and start playing today.